Dr. Michael R. Betts received his PhD in 1998 from the University of North Carolina in the laboratory of Dr. Jeffrey A. Frelinger. His dissertation examined the role of HIV-1 specific cytotoxic T lymphocytes in non-progressive HIV infection. 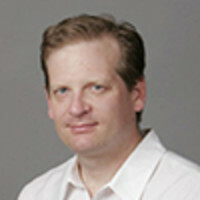 He conducted his postdoctoral research at the University of Texas Southwestern Medical Center in the laboratory of Richard A. Koup, MD, where he advanced the use of intracellular cytokine staining for measuring HIV-specific T cell responses for the first time, using a combination of matrix epitope mapping and overlapping peptide libraries. His work redefined the breadth, magnitude, and immunodominance patterns of HIV-specific T cells in chronic HIV infection. In 2001 he became a Research Fellow at the National Institutes of Health Vaccine Research Center. Here he continued to develop flow cytometry based assays for measuring T cell responses, including initial development of the CD107a degranulation assay and polyfunctional T cell analysis using multiparametric flow cytometry. In 2005, Dr. Betts joined the University of Pennsylvania as an Assistant Professor in the Department of Microbiology, and became an Associate Professor in 2012. Throughout this time he has continued to examine T cell responses in a variety of human viral infections, including HIV, Cytomegalovirus, Epstein-Barr virus, Adenovirus, and Influenza, as well as develop novel methodology to identify and characterize antigen-specific T cells. Currently, he is an Editor for AIDS Research and Human Retroviruses, and a Section Editor for the Journal of Immunology. The International Society of DNA Vaccines is an organization created to facilitate the advancement of therapeutic and preventive DNA vaccines. In the early 1990s it was discovered that genetically engineered DNA can be delivered in vaccine form to elicit an immune response. Registration is quick and easy. Find out more information in our registration section. Interested in sponsoring? Find out about our sponsorship levels and benefits. The International Society of DNA Vaccines will offer a limited set of competitive scholarships. International Society of DNA Vaccines © 2019. Website by Equisolve.